The Times real estate section features an apartment building at 2nd Street and Figueroa—no point in even going to look for it. 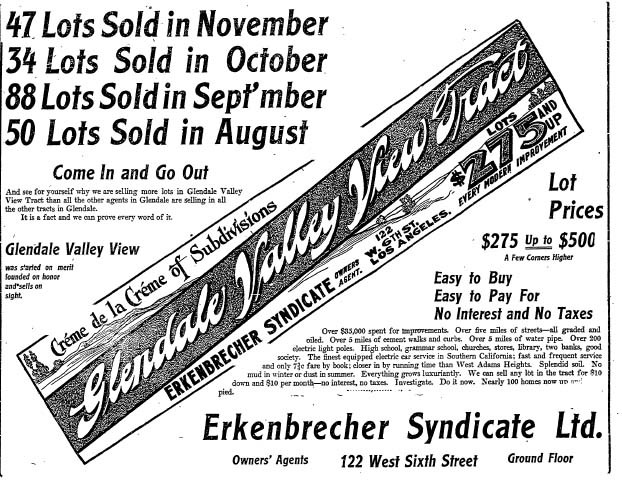 But there’s also a large ad for the Erkenbrecher Syndicate’s Glendale Valley View Tract. 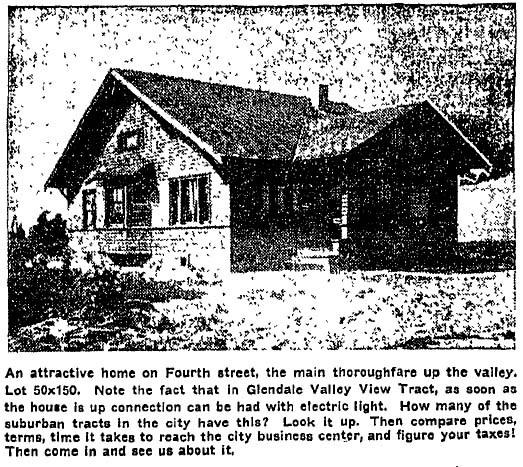 An unknown development today, the Glendale Valley View Tract is located west of Central Avenue in Glendale and north of Riverdale on what was once Judge Andrew Glassell’s vineyards. 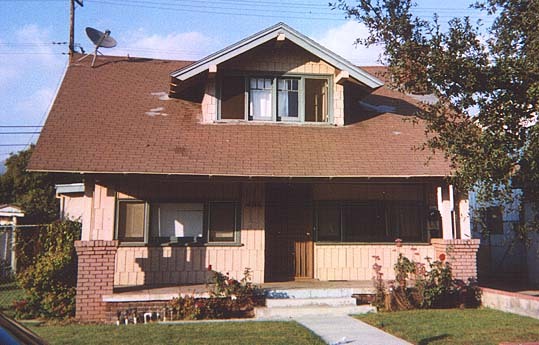 Part of it is apparently occupied by the Glendale Galleria, but some homes remain south of what is now Colorado Boulevard and was then 6th Street. 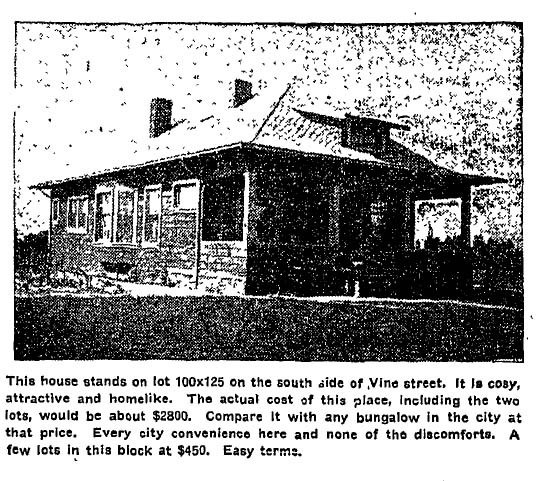 The homes are modest and the streets are narrow, probably not what Henry Huntington and L.C. Brand had in mind when they tried to acquire the property, “looking upon it as the choicest of subdivision property in that entire section,” The Times said. 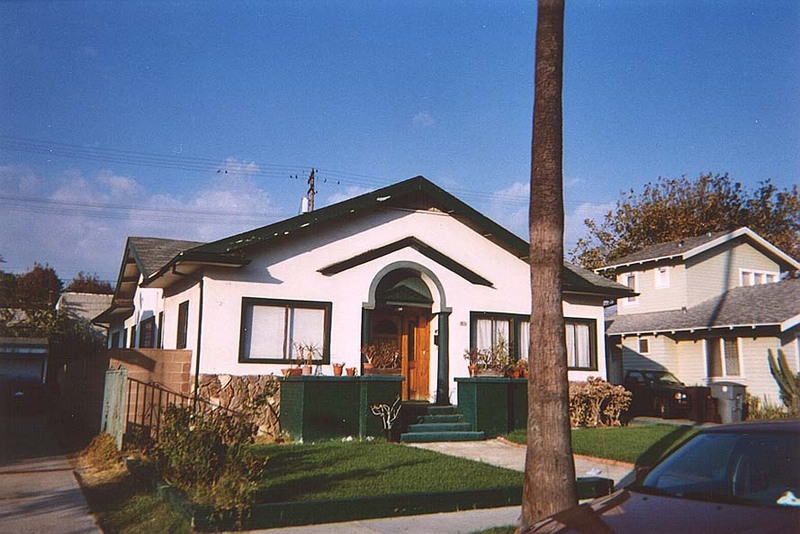 The development offered five miles of oiled streets, curbs and sidewalks. 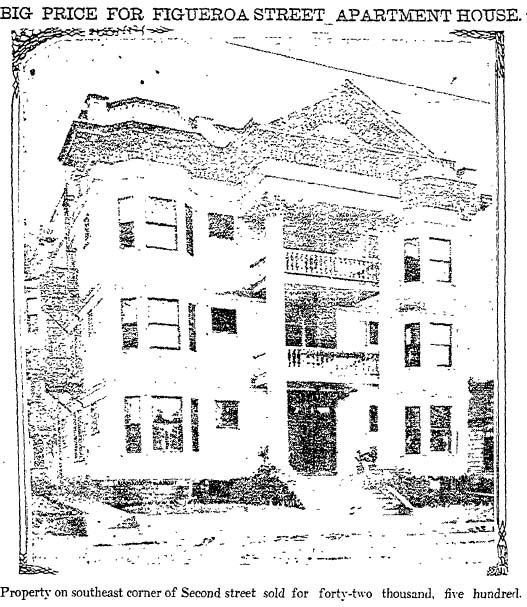 The ads noted that the neighborhood was closer by streetcar than the West Adams District. 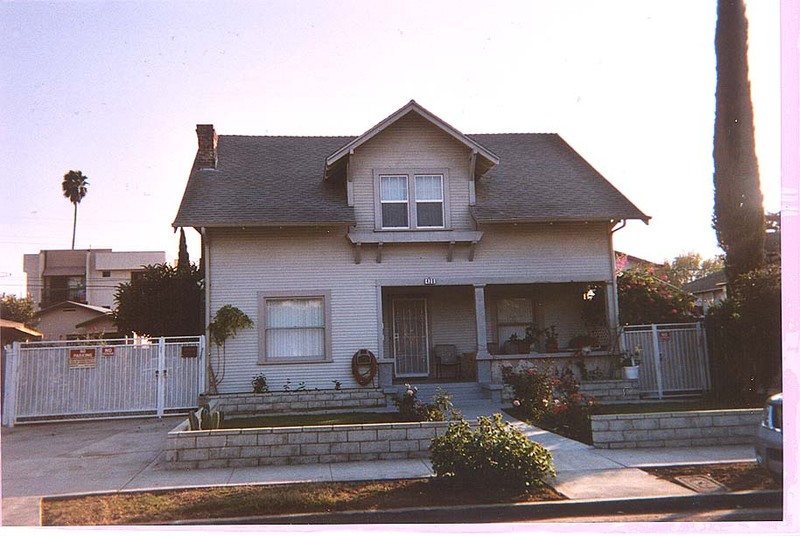 This entry was posted in 1907, Architecture, Real Estate, Streetcars, Transportation and tagged #Glendale, 1907, architecture, Glassell, housing, real estate. Bookmark the permalink.